ALLEGRA BOVERMAN/Staff photo. Gloucester Daily Times. 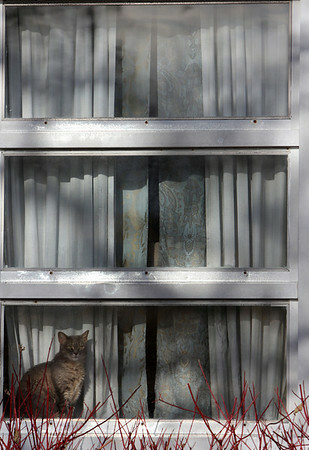 Gloucester: A cat sits in a sunny window along Poplar Street in Gloucester on Thursday.